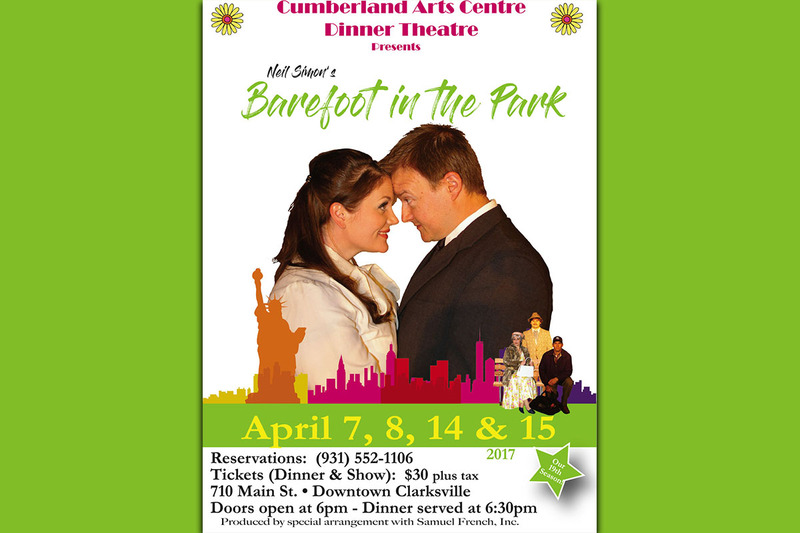 Clarksville, TN – The Cumberland Arts Centre’s next dinner theatre production will be Neil Simon’s “Barefoot in the Park” scheduled for April 7th, 8th, 14th and 15th. Directed by Art Conn, the production stars local favorite Alex Syler along with Lauren Street, Cris Isom, Alex Maynard, Scott Swan and Casey Williams. “Barefoot in the Park” was first produced on Broadway with Robert Redford and Elizabeth Ashley. 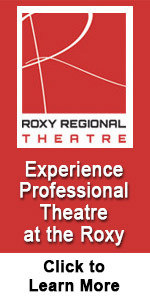 Last chance to see 9 to 5 the Musical at the Roxy Regional Theatre this weekend! Clarksville, TN – If you haven’t been to the Roxy Regional Theatre to see “9 to 5: the Musical,” the real question is why not! Time is running out. Outrageous, thought-provoking and even a little romantic, “9 to 5: The Musical” tells the story of three unlikely friends who, even in a man’s world, prove there’s nothing they can’t do! 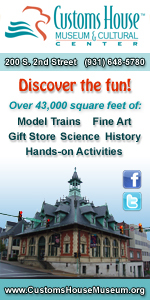 The musical is based on the 1980’s film, which starred Dolly Parton, Jane Fonda, and Lily Tomlin. The musical stars Bailey Hanks as as the vivacious Doralee Rhodes; Amanda Morgan as Violet Newstead, the department supervisor; Lital Abrahams as housewife turned secretary Judy Bernly; Colin Ryan as everyone’s favorite “Sexist, Egotistical, Lying, Hypocritical Bigot” of a boss, Franklin Hart, Jr.; and Jill Twiss, as his administrative assistant and office spy Roz Keith. They are backed up by an incredible supporting cast. “9 to 5: The Musical” begins September 14th at the Roxy Regional Theatre starring Bailey Hanks. 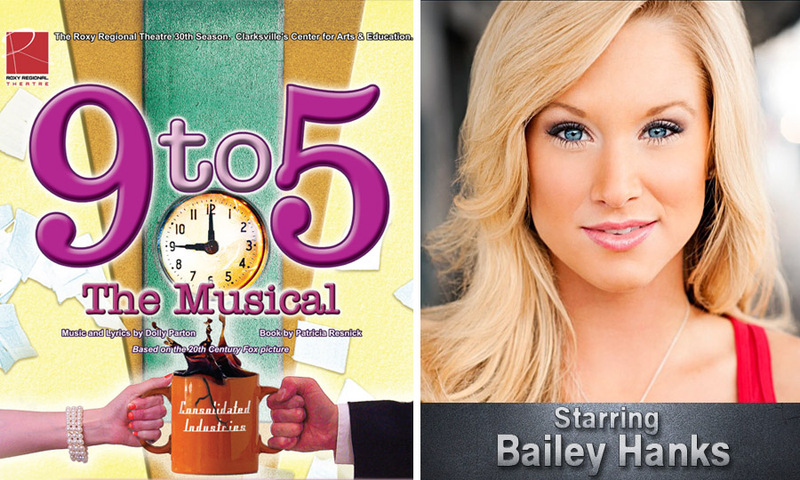 Clarksville, TN – Broadway and MTV star Bailey Hanks* leads the pack of plays and musicals in the Roxy Regional Theatre’s 30th Season with 9 to 5: The Musical, opening Friday, September 14th, at 8:00pm. Hanks, the winner of MTV’s “The Search for Elle Woods” and star of Broadway’s Legally Blonde, takes on the Dolly Parton role in this hilarious musical comedy based on the film also starring Jane Fonda and Lily Tomlin. Outrageous, thought-provoking and even a little romantic, 9 to 5: The Musical tells the story of three unlikely friends who, even in a man’s world, prove there’s nothing they can’t do!